NeltaChoutari is a web magazine that started as a wiki collaborative project in January 2009. It was established to supplement the ELT conversations that have been going on for many years within the mailing list of NELTA (Nepal English Language Teachers’ Association). In July 2009, we started posting the webzine’s monthly issues on this blog so our conversation can be heard by the rest of the ELT community outside NELTA. First initiated by Ghanashyam Sharma (Shyam), Bal Krishna Sharma and Prem Bahadur Phyak, this networking initiative now has six core moderators (Sajan Kumar Karn, Kamal Poudel, and Hem Raj Kafle joined later). NELTA President Ganga Ram Gautam, has been advising us since the beginning of 2010. More than 200 NELTA teachers and friends have posted entries and left comments. You can see the viewer count at the bottom of the navigation panel on the right of any entry page–which is already incredibly high. In early 2010, NELTA appreciated the initiative of the bloggers on this team by providing liason and support through its Executive Member Mr. Kamal Poudel, who coordinates this web-zine as a part of a larger initiative that is called “Nelta Networking” (please read this post by Kamal Poudel). 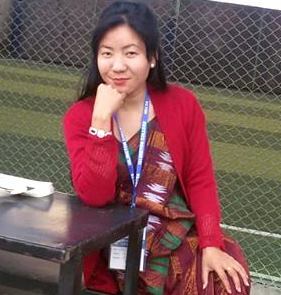 So, the monthly ELT magazine that you see on this blog (we also call it the Choutari “blog-zine”) is a part of NELTA’s as well as Networking team’s mission for promoting professional development through networking and ELT conversation among Nepalese teachers and with NELTA friends around the world. We believe that we can develop very useful and probably most relevant intellectual/professional resources for the Nepalese teachers, scholars, researchers, and students (especially in the long run) by making our own professional conversations, news and updates, research materials, theoretical discussions, and ideas from practical experiences, and so on available through a discussion forum like this. Please take some time to browse and see what we have been discussing since January 2009 (you can “select month” or “select category” with the options in the right navigation panel). After reading what you find relevant/ interesting, please contribute your comments about how this networking can be made more relevant for you and other Nelta members. Your participation in the discussions here is not just welcome, it is the very goal of the networking project–if you leave a comment, under any other post, your idea will add one small step on the ladder of NELTA’s and Nelta Choutari’s networking mission. If you would like to share more than a quick comment (a longer reflection about an event/issue, a personal ELT related story, success story of a branch or project, monthly branch update, etc) please email your thoughts to neltanetworking-(at)-gmail-(dot)-com and we will post it as a new blog entry and fellow ELT teachers/scholars can read and discuss/comment on your post. Glad to see this blog. I have already expressed my commitment (in the closing of the 15th Conference) that I would be a partner to this networking. Please check my personal blog (given below) to read a script of my speech. For now, let me share two links with you. First. http://pranglish.wordpress.com. I run this blog to teach writing in English. I presented on it in NELTA this time and in ELT@I last month. I hope to share with everybody any teaching/learning resources I prepare/collect for this blog. The second is http://kaflehem.wordpress.com. This is my personal blog, but contains useful links and resources. I am upgrading it into a webpage soon. I repeat my commitments to be in the NELTA networking and invite everyone to provide more resources.